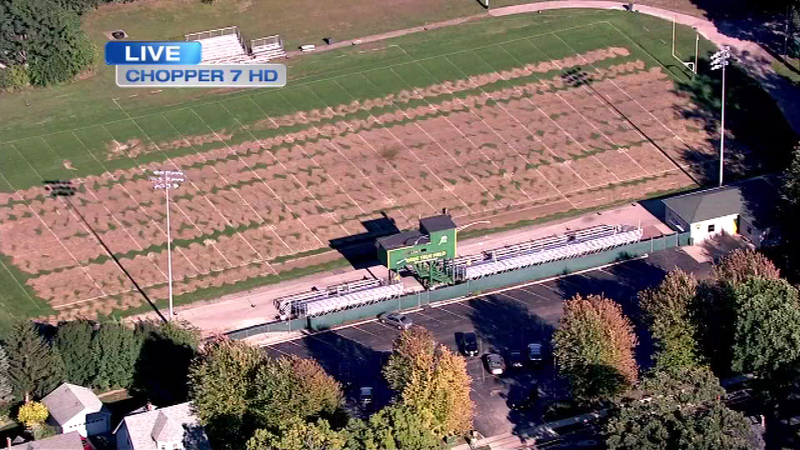 The football field at St. Edward High School in Elgin after weed killer was accidentally spread. CHICAGO (WLS) -- Weed killer was mistakenly put on a suburban Elgin high school football field and now the team has to decide where to play its home games. According to the Elgin Courier-News, the company that maintains the field at St. Edward High School meant to put fertilizer on the grass. About two thirds of the field was affected. A decision on where football games will be played is expected by Thursday after the players have had a chance to practice on the field.